Mr Veerarit wants to increase the time spent during each customer’s visit. Asset World Retail Co, the operator of Pantip Plaza, is renovating its Pratunam branch to lure younger customers. Veerarit Somboonsub, the company’s general manager for tech life, said Asset World will invest 150 million baht in the renovation, with about 50 million already spent to transform the second floor of Pantip Plaza’s Pratunam branch into a toy destination. The remaining 100 million baht will be spent to renovate the food zone on the first floor to increase customer traffic, spending per head and time spent at the complex. New anchors will also be added to lure first-jobbers to the Pratunam branch, Mr Veerarit said. Six toy and figurine flagship stores have opened on the second floor of the Pratunam branch. 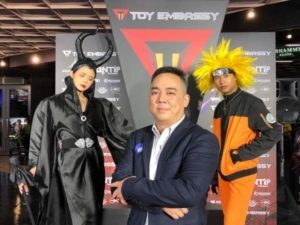 They include Dojo Store, a distributor of high-end model brands such as Prime 1 Studio and Figurama Collectors; Toy King, the distributor of XM Studios models; and Tamashii Era, a store that sells various collectable models and figurines from Tamashii Nations. Sales at Pantip’s Pratunam branch totalled 600 million baht last year and are expected to grow by 10% to 660 million baht this year. The company also plans to renovate its existing branches at Ngam Wong Wan and Bang Kapi and in Chiang Mai, focusing on fashion and food items to suit customer demand at each location. More details of those renovations have yet to be made available.